The January 4-7, 2019 edition of the Philadelphia Gift Show welcomed retailers from throughout the Mid-Atlantic and Tri-State areas who came to see the newest introductions for spring, and shop the cross-over selection offered by the three collocated events, which included the premiere of the Philadelphia Souvenir & Resort Expo and the Philadelphia National Candy Gift & Gourmet Show, held at the Greater Philadelphia Expo Center. Further strengthening the versatile selection for retailers, the winter edition welcomed more than 81 new, first-time exhibitors. 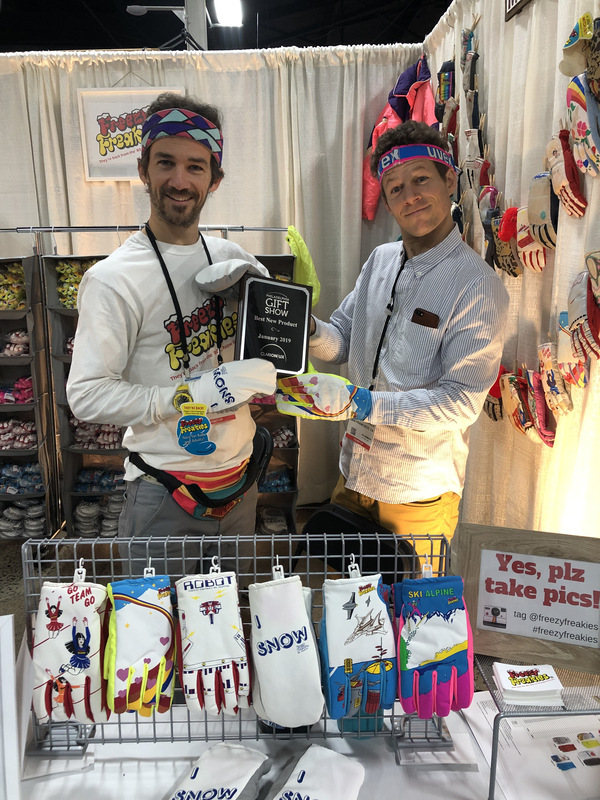 Headlining the new resources on the show floor, Freezy Freakies (pictured above) took the “Best New Product Award” for its rad color-changing gloves from the ‘80s for both adults and kids. Buyers and exhibitors alike raved about the new souvenir and resort expo. “The new Philadelphia Souvenir & Resort Expo was a great addition to the selection of products offered by the Philadelphia Gift Show. “I shop the show regularly and I’m always finding lots of new products,” said Isabel Danielak, Silverton Pharmacy, Toms River, NJ. “I love the variety here at the show,” adds Mary Davis, 1758 Co., Bedford, Pa. 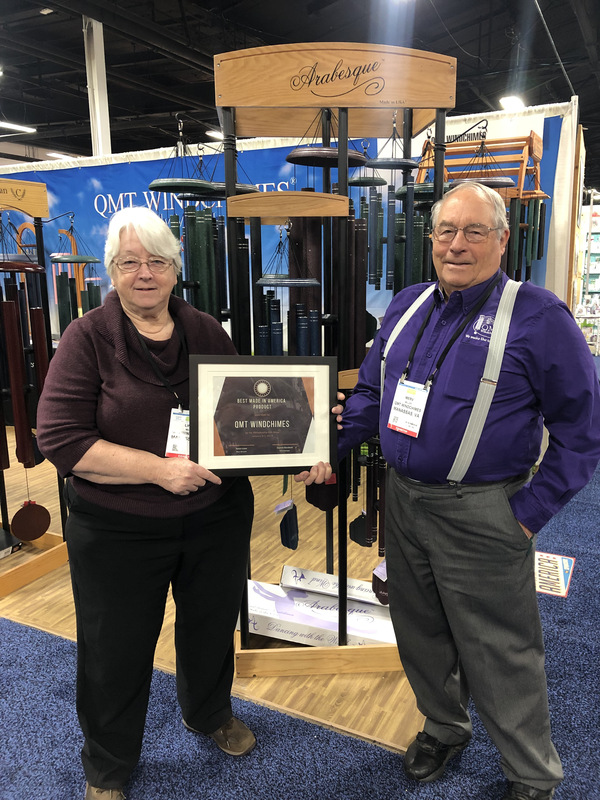 Adding to the show excitement of the Philadelphia Gift Show and Philadelphia Souvenir & Resort Expo, retailers had the chance to vote for a number of awards, including the Freezy Freakies’ Best New Product award and Best Made in America award, which went to Manassas Park, Virginia-based QMT Windchimes (pictured above) for hand-tuned wind chimes it has been manufacturing in the US for more than 30 years. The winter 2019 edition once again co-located with the Retail Confectioners Association of Philadelphia’s (RCAP) 139th Philadelphia National Candy Gift & Gourmet Show giving retailers throughout the northeast region the opportunity to take advance of cross-over buying opportunities afforded by the show’s selection of candy, chocolate, gourmet specialties and other ideal impulse items. The Philadelphia Gift Show continued many of its convenient onsite buyer services. On Thursday, January 3, the show partnered with CRAFT to co-host a pre-show seminar, “All About Wholesale,” designed for artists and makers’. The show’s Discovery Zone featured a number of complimentary seminars led by speakers Diana Kauffman of Diana Kauffman Designs and Shirley Frazier, president of Sweet Survival along with daily retailer prize giveaways, popcorn socials, and the “stay for the last day” promotion inviting buyers to shop the last day of the show and enjoy free lunch and show specials offered by exhibitors on Monday, January 8.